Research shows that 93% of online experiences start with a search engine query. With a figure like that, it should be no surprise that 85% of retailers in one survey said that search marketing (pay-per-click advertising and search engine optimization) is the best way to get new customers. PPC alone can get a 300% or higher return on the initial investment. Keyword research for PPC may sound simple — just find out what people are searching for and then bid on those terms — but it’s actually quite a bit more involved than that. For your campaign to work, you need to choose relevant keywords, find out what your competitors are ranking on, and not overspend on low-performing keywords. Writing ad copy is a specialized skill best left to professional PPC management experts; if searchers see your ad but it’s not compelling enough for them to actually click on it and then become a customer, then your money is being wasted. One of the biggest mistakes people who don’t consult with professional PPC management agencies make is not optimizing the connections between PPC ads and landing pages. This is hugely important when it comes to conversions. In order to get the maximum return on a PPC campaign, you can’t just set it up and leave it alone. PPC campaigns need constant assessment to see which keywords are paying off and which aren’t, and an established PPC management agency has the expertise to do that far more accurately and efficiently than you can. 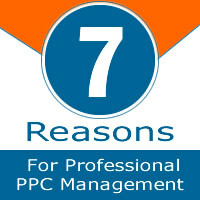 You know that PPC stands for pay per click. What about CPC, CPM or CPA? What’s the difference between views, impressions and hits? While you can do a quick Google search to find out what these terms mean on a surface level, truly understanding them and how they add up to a successful PPC strategy takes up significant amounts of time that are better spent focusing on your business’ core competencies. You’re probably most familiar with paid search as it relates to Google, but Google AdWords isn’t the only platform that can get attention for your audience. Professionals can help you identify on which ad networks your money will be best spent. Just like any other marketing segment, PPC is constantly evolving. Staying on top of trends is vital to making the most of your campaigns, and it’s a better long-term investment to have someone who is already spending time paying attention to every shift handling your PPC advertising. Since the introduction of SiteLinks, Google has been collecting lot of data, as well as experimenting with a plethora of expansion opportunities. The conclusion to their never-ending testing and tweaking has been called “one of the strongest performing experiments” at Google. Enhanced, augmented, amplified, or upgraded – any way you put it, the Google SiteLinks Extensions have grown up and out, literally. SiteLinks blossomed from a few lines of directed links to full-fledged custom ads created by advertisers. On February 14th, as Google took the cover off the Enhanced SiteLinks experiment, and worldwide advertisers should be excited to see the new amazing opportunities available to them. Advertisers can now show their original ad, as well as four additional ads pulled from active ads closely related to the SiteLinks in their campaign. This new feature effectively triples the real estate for the advertisement! See the Google example here. Wouldn’t it be nice if these Enhanced SiteLinks were simple to implement? Unfortunately, they are not. As with many of the new (and somewhat confusing) intensified features Google AdWords rolls out, Enhanced SiteLinks can be complicated to master. 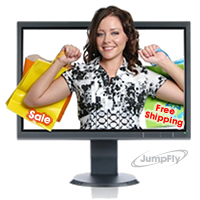 The account managers at JumpFly have found that best practice is to create ad copy as closely related to your SiteLink’s titles as possible. If your account then meets the proper critera, your SiteLinks may show as Enhanced SiteLinks. If your account is given the opportunity to to display these new, powerfully dynamic ads, the rewards could be truly amazing. Since the introduction of SiteLinks, Google has been collecting a lot of data, as well as experimenting with a plethora of expansion opportunities. The conclusion to their never-ending testing and tweaking has been called “one of the strongest performing experiments” at Google. Enhanced, augmented, amplified, or upgraded – any way you put it, the Google SiteLinks Extensions have grown up and out, literally. SiteLinks blossomed from a few lines of directed links to full-fledged custom ads created by advertisers. On February 14th, as Google took the cover off the Enhanced SiteLinks experiment, and worldwide advertisers should be excited to see the new amazing opportunities available to them. Advertisers can now show their original ad, as well as four additional ads pulled from active ads closely related to the SiteLinks in their campaign. This new feature effectively triples the real estate for the advertisement! See an example of Google SiteLinks here. As with many of the new (and somewhat confusing) intensified features Google AdWords rolls out, Enhanced SiteLinks can be complicated to master. The account managers at JumpFly have found that best practice is to create ad copy as closely related to your SiteLink’s titles as possible. 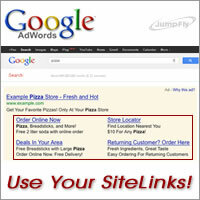 If your account then meets the proper criteria, your SiteLinks may show as Enhanced SiteLinks. If your account is given the opportunity to to display these new, powerfully dynamic ads, the rewards could be truly amazing.